(BPT) - A generation ago, Americans were savers. When the Greatest Generation and Boomers needed to make a major purchase or wanted to take a trip, they put money aside. And then they saved some more. Putting money aside each week or month was an ingrained habit, perhaps as an outgrowth of people living through the Depression and World War II. 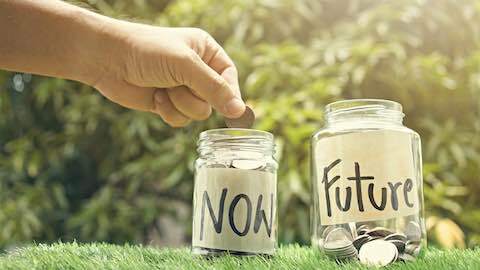 According to a recent PurePoint Financial survey almost half of Americans today don't quite get the concept of saving for the short term. People are putting money into their employer-matched 401(k) plans for retirement, but they're not setting savings goals for the next one to five years. * 65 percent of Americans do not know they're missing out on free money by not having a savings account, and don't understand how interest rates can impact their savings. * 4 in 10 Americans believe their checking account and savings account have the same interest rates. * One-third of Americans prefer debt and instant gratification purchases to saving. * More than half of Americans let money sit in a checking account without transferring it to a savings account, where they can be earning interest. According to some number-crunching by NerdWallet by CNBC, if you put $10,000 in your checking account, at the end of three years, you'll have that same $10,000. A traditional, low-yield savings account will give you about three extra dollars. But a high-yield savings account will give you $10,475. Now you're talking about some real money, and it only goes up from there. Leave that $10,000 in the account for five years, and you'll have $10,805. And that's at an interest rate of 1.55 percent. Non-traditional banks like PurePoint offer higher yields, reaching more than 2 percent. That's a good chunk of change. The solution? The old-fashioned notion of saving for a rainy day has been streamlined by ultra-modern financial technology. Online financial institutions like PurePoint, which is a hybrid digital bank with brick-and-mortar financial centers, are offering more competitive interest rates for high-yield savings and CD accounts than traditional banks, nearing the 2 percent mark. It's an alternative to investing that you can trust with a knowable, controlled return over the short or long-term. It's almost like investing in the stock market, but with a controlled and knowable return. For more information about how you can make your money work for you, visit PurePoint at www.purepoint.com and try their rate comparison tool. Personal Finance: "How to Make Your Savings Work For You"